Thomas Henry Caton, 78, a resident of Little Rock, went to be with his Lord and Savior Sunday morning, September 27, 2009. Preceded in death by his parents Mr. and Mrs. W.F. Caton, 1 sister, Addie Mae Caton, 5 brothers, Virgil, Bill, Jim, Floyd, and Bob Caton. Left to cherish his memory is his loving wife of 60 years, Betty J. Caton. Beloved father of Debra J. Derden, of Little Rock, Thomas Wayne Caton of Choctaw OK, Susan Kay Torres, James W. Caton, and Cindy Caton of Little Rock. Proud grandfather of 7 grandchildren, Roger Coburn Jr, Ronnie Torres, Kim Torres Nordin, Michael W. Caton, Kristen Derden Bordelon, Thomas W. Caton Jr, and Kelly M. Caton. 10 Great Grandchildren, Jon and Sam Coburn, Ryan, Taylor, and Ava Torres, Andrew Boswell, Ally and Austin Caton, Scarlet and Chloe Bordelon. Along with a great host of dear friends and family. He was a longtime member, deacon, and Sunday School teacher at Wellington Village Assembly of God. A member of Albert Pike Lodge 714 and the Scottish Rite. He served his community as a firefighter of West Pulaski Volunteer Fire Dept for 33 years, with 17 of those years as Chief. He served his country in the U.S. Navy during the Korean War aboard the USS Princeton. He had worked for the Rock Island Railroad and was a retired paint contractor. Memorial donations may be made in his honor to West Pulaski Volunteer Fire Department, 2810 Whispering Pine Rd, Little Rock AR 72210. WPFD mourns the loss this year of one of our founding members this past February. Bill Grimmett was a forty-year member of the WPFD. Originally serving as a firefighter and dispatcher, Bill had a special talent since he also helped operate the Ferndale Post Office and mail route with his wife Thelma, the postmaster. He may have retired from carrying the mail but knew every marked and un-marked road in our area and just about every family that lived on them. Often navigating our responses to unfamiliar addresses, he could guide our quick fire responses by radio just as if he was sitting next to you in the fire truck. Bill’s firefighter number (Firefighter #424) has been retired in honor and memory of Bill Grimmett. His fire helmet was presented to his family to commemorate the many years of dedicated service he provided to WPFD. 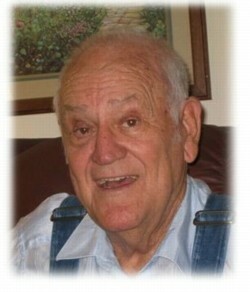 William Ova Grimmett, 85, of Little Rock, passed away on February 9, 2009. He was born January 23, 1924 in Ferndale, Arkansas to Ova Jethro and Dorothy Susan Grimmett. 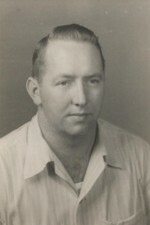 Graduating from Joseph T. Robinson High School in 1942, he then served in the U.S. Navy from 1942 to 1946. He retired from the U.S. Postal Service in 1980.An avid woodsman, outdoorsman, hunter and fisherman, he remained active in the local community of Ferndale following his retirement. 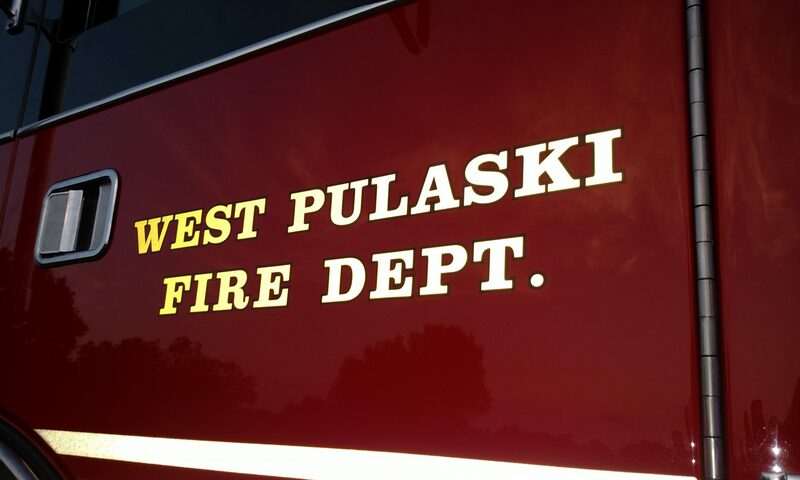 He co-founded and was a forty year member of the West Pulaski Volunteer Fire Department. He participated in many community groups and activities, serving as a past Worshipful Master of the Mary Williams Lodge and as a past president of the Spring Valley Cemetery. He was a long time member of the Highlander Class at Highland Valley United Methodist Church. Bill was preceded in death by his loving wife of 53 years, Thelma Jean Grimmett and his brother, Charles Robert Grimmett. He is survived by a sister, Dorothy Clement; his daughter, Jan Steeger and husband, Tom; sons, Ted Grimmett and wife, Rhetta and Patrick Grimmett and wife, LeeAnn; and grandchildren, Jeff Grimmett, Sally Anderson, Miller Grimmett, Charlie Grimmett, Patrick Steeger and Daniel Steeger.